New sounds for your footsteps and movements in Minecraft. 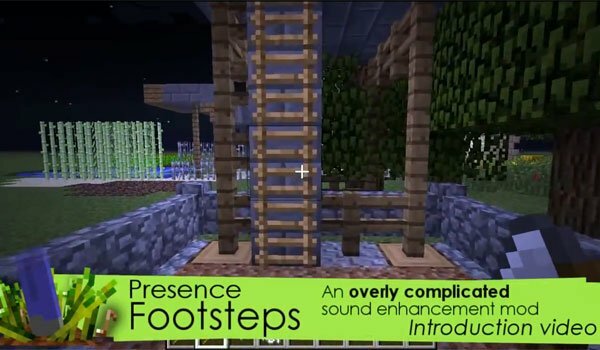 Presence Footsteps 1.6.2 is a mod that adds new sounds treads our character makes on the various materials that exist in Minecraft and in character movement on these blocks. Each block has a different consistency and this produces a different sound when it is pressed. If you want to add some sonic realism to Minecraft, this mod will help you get an even more complete game when yu are on the move with our character. If you want to further enhance the sound aspect of the game, you can rate another mod created by the same author, MAtmos Mod. How to install Presence Footsteps Mod for Minecraft 1.6.2? New sounds by stepping on and move the materials on Minecraft!